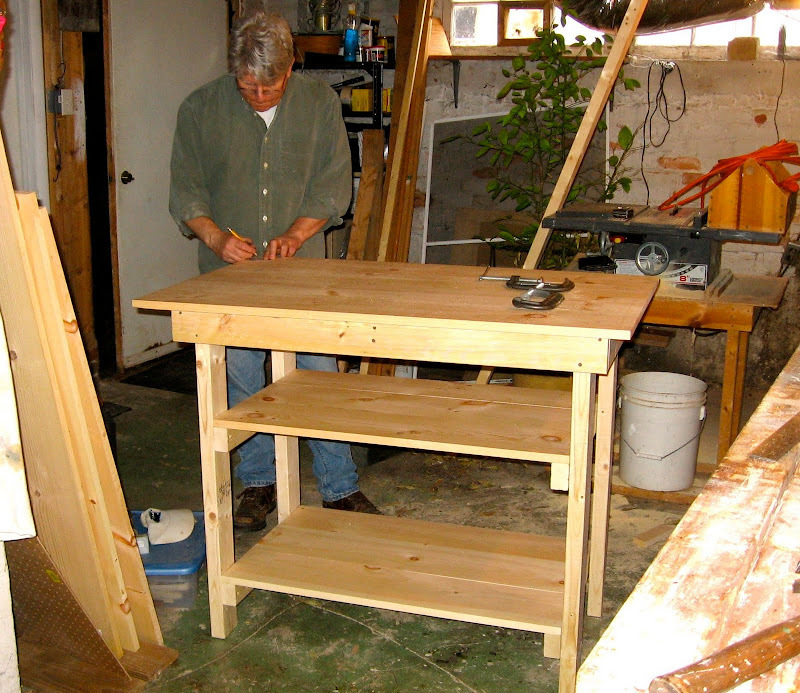 First up; my wonderful husband is building me a new table for my studio. It's going to be a real work horse because I plan to use it in a number of ways. Not only is it big enough to use the top as a cutting table (and thanks to my mom I now have a fold up ironing pad that turns it into an ironing board) but it also is the perfect height to prevent back pain when I have large amounts of fabric to cut or iron. He's going to hook it up for electricity and I plan to eventually set up lights so I can use it as a mini photo studio as well. And of course he designed it with plenty of room for storage underneath, something I can always use. The mom still needs her "skin" put on but they're coming along pretty well. I love having the chance to make the bigger type doll. I need to make an Alice doll for an upcoming challenge but it's still "percolating" in my head at this point. I think I'd like to do a more Alice Liddell type this time....but we'll see. So what projects are you working on these days! Love all those dolly fingers too! Oh, I love your dolls. Your workmanship is superb. The table will be perfect for dolling! Ok..totally jealous of the table. love that table! isn't it fab to have handy folk around. The new project looks great too, cant wait to see it finished. The table will be perfect for dolling! That is a great table, I love the height of it. Three cheers for your hubby! Your husband is a gem. He should sell those tables...only after he's finished yours for you, of course. We all love workspace.